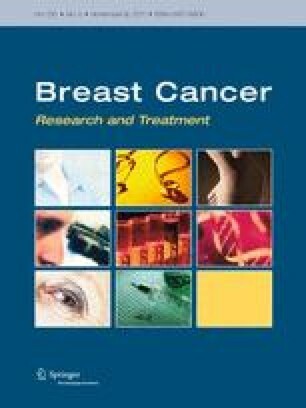 Inflammatory Breast Carcinoma (IBC), the most aggressive type of breast tumor with unique clinicopathological presentation, is hypothesized to have distinct etiology with a socioeconomic status (SES) component. Using the Surveillance, Epidemiology and End Results (SEER) Program data for 2004–2007, we compare incidence rates of IBC to non-inflammatory locally advanced breast cancer (LABC) among racial/ethnic groups with different SES. The analysis includes women 20–84 years of age. To examine evidence for the distinct etiology of IBC, we analyzed age-distribution patterns of IBC and non-inflammatory LABC, using a mathematical carcinogenesis model. Based on the Collaborative Staging Extension codes, 2,942 incident IBC cases (codes 71 and 73) and 5,721 non-inflammatory LABC cases (codes 40–62) were identified during the four-year study period. Age-adjusted rates of IBC among non-Hispanic White and Hispanic women were similar (2.5/100,000 in both groups). Similar rates were also found in non-inflammatory LABC in these two groups (4.8/100,000 and 4.2/100,000, respectively). In African-American women, the IBC (3.91/100,000) and non-inflammatory LABC (8.47/100,000) rates were greater compared with other ethnic/racial sub-groups. However, the ratio of rates of IBC/non-inflammatory LABC was similar among all the racial/ethnic groups, suggesting that African-American women are susceptible to aggressive breast tumors in general but not specifically to IBC. The mathematical model successfully predicted the observed age-specific rates of both examined breast tumors and revealed distinct patterns. IBC rates increased until age 65 and then slightly decreased, whereas non-inflammatory LABC rates steadily increased throughout the entire age interval. The number of critical transition carcinogenesis stages (m-stages) predicted by the model were 6.3 and 8.5 for IBC and non-inflammatory LABC, respectively, supporting different etiologies of these breast tumors. We have no conflicts of interest to report and have obtained written permission from all acknowledged in the manuscript.